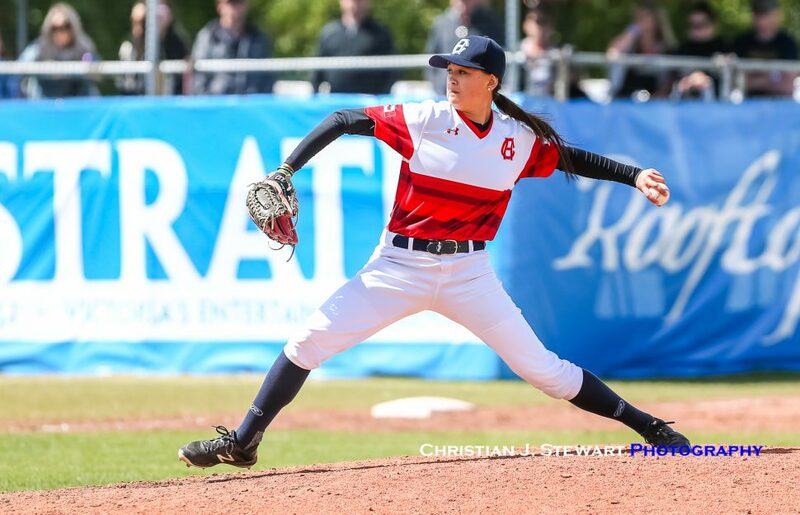 June 10, 2018, Victoria, BC – Claire Eccles saw her first action of the season on her bobblehead day and the HarbourCats came alive for four runs in the fourth inning, to go on to a 7-4 win over the Coquitlam Angels on a pleasant Sunday afternoon at Wilson’s Group Stadium at Royal Athletic Park in Victoria. 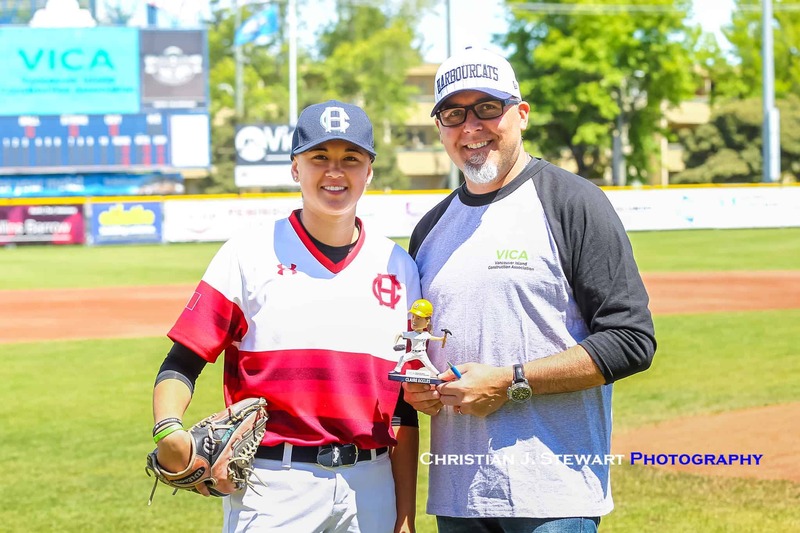 Eccles, the first ever woman to play in the West Coast League last season, was immortalized Sunday with her own bobblehead, decked out in a hardhat and throwing a “hammer,” thanks to the Vancouver Island Construction Association and their “Women in Trades” promotion. She came in to pitch with two outs in the top of the eighth inning to a rousing welcome back applause from the nearly 3,000 fans in attendance and showing some early season rust, got roughed up a bit, but by that time it did not matter, as the HarbourCats used a four run fourth inning to overcome a 1-0 deficit and had vaulted into a 7-1 lead prior to Eccles entering the game. In that pivotal fourth, Harrison Spohn got things going with a leadoff single and then moved to third when Jedd Fagg doubled. A Dustin Miller single then scored Spohn, while Caleb Ricketts knocked home Fagg and Miller two batters later with a single. Sylas Grinstead also singled and scored to round out the big inning for Victoria. 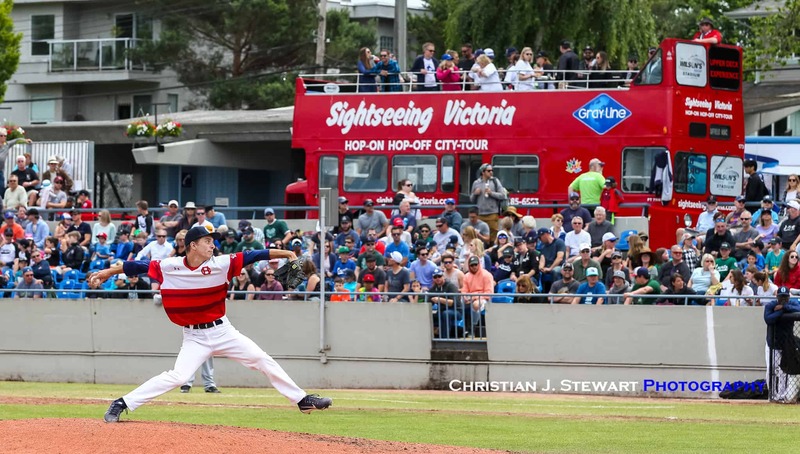 On the hill for Victoria, Garrett Goodall got the start, giving up a run on five hits, Nate Walker, Po-Jui Huang, Justin Solt, Carter Loewen and Cubans Adriel Quesada and Aejandro Ortega also saw some action in this non-league game. 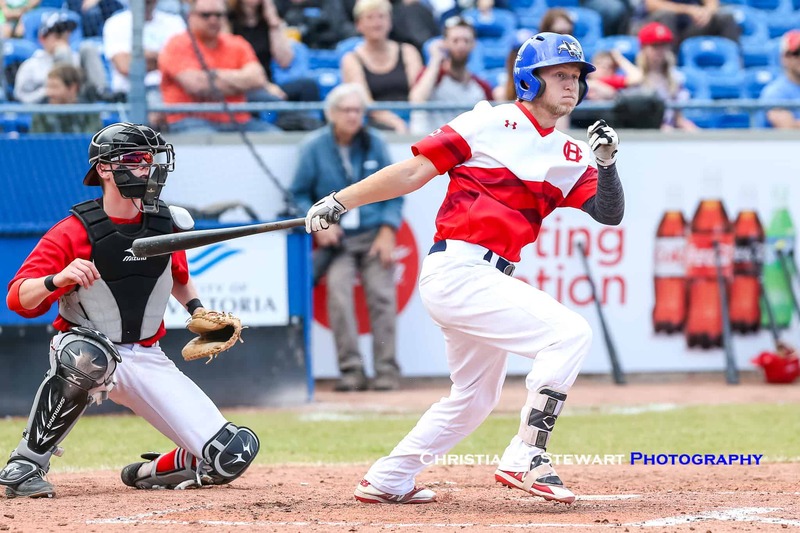 The win gives the HarbourCats the sweep of the two-game non-league series after their 4-1 win Saturday evening and improves their overall record to 5-3 on the season (3-3 in league play). The team gets back to league action on Tuesday night as they hit the road for the first three away games of the season, in Kelowna against the Falcons beginning on Tuesday night. 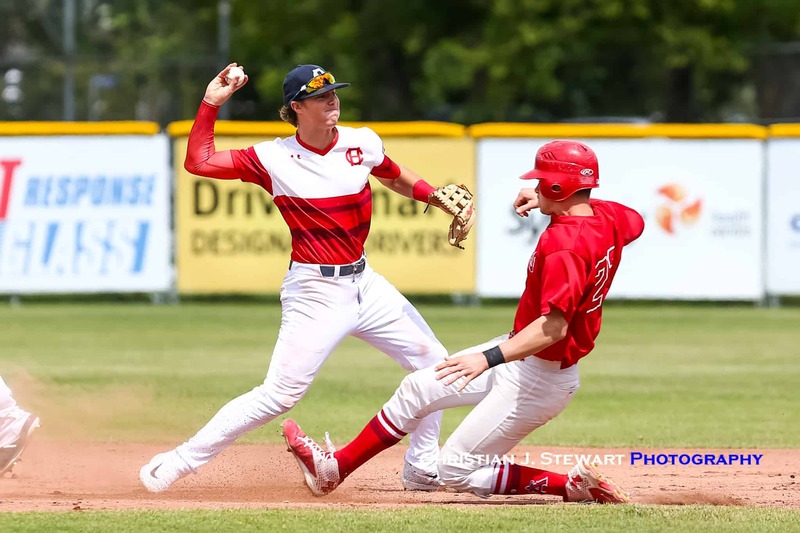 They return to Wilson’s Group Stadium at Royal Athletic Park on Friday night June 15th to begin the annual Battle of the Strait of Juan de Fuca with the Port Angeles Lefties. First pitch for that is scheduled for 6:35 pm. 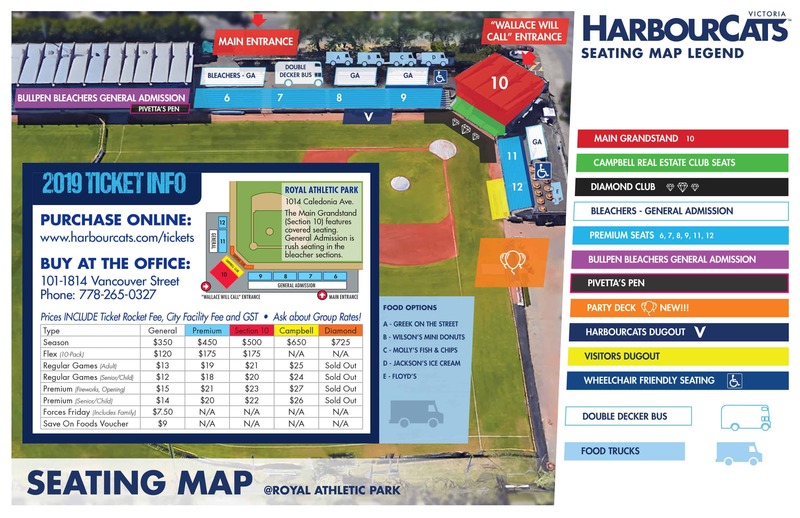 GAME NOTES: On their off day Monday, the HarbourCats will be heading up-Island to Ladysmith, Duncan, Lake Cowichan and other ports of call to put on short batting practice demos at each stop and spread some baseball goodwill to those communities.